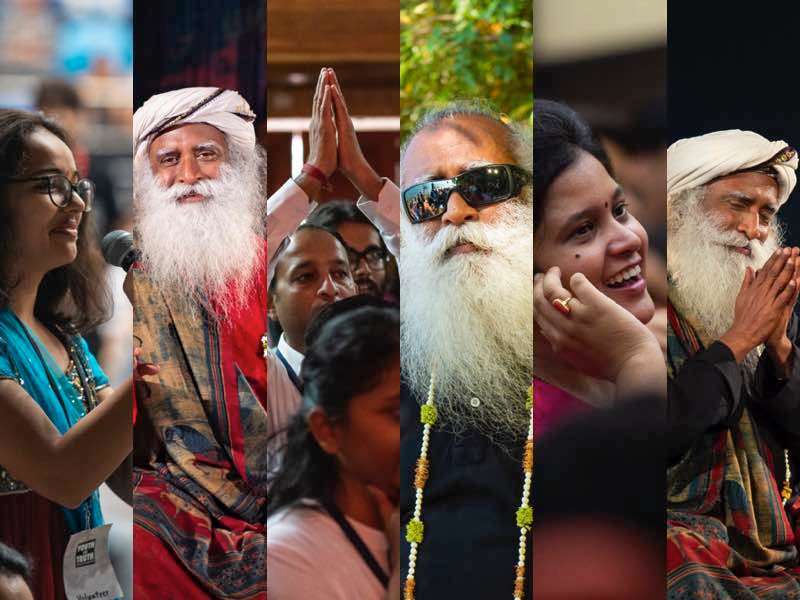 Here are six pebbles of wisdom from Sadhguru, in answer to various questions from the Youth AND Truth movement. #1: How to Use Social Media to Express Yourself? Sadhguru: All of you who are managing fake Facebook and Twitter accounts, take them away and put your name out there: “This is me and this is what I say.” If you don’t even want to put your name on it, you have no right to express your opinion about anything. You can’t hide behind something and shout whatever you want at someone, isn’t it? If you want to say something, you must take some responsibility for that. #2: How to Live Life Effortlessly? 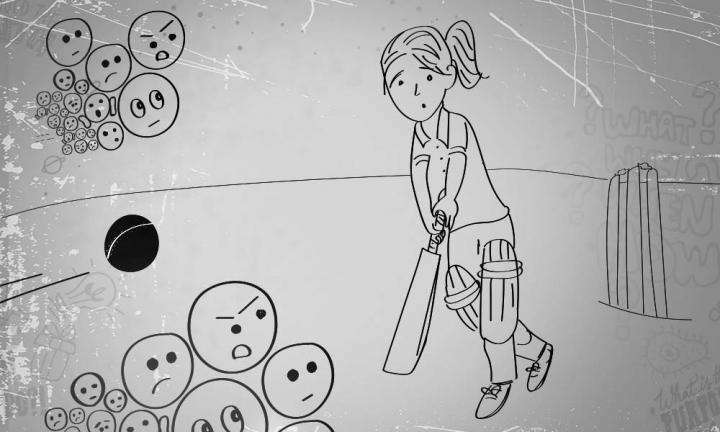 Sadhguru: A simple thing is that you never look down on anyone, never look up to anyone. As simple as it sounds, this means you have no judgment in your head as to what is good, what is bad, what is high, what is low, what is virtue, what is sin. You are willing to look at life for what it is. If you see life simply for what it is, you will effortlessly navigate through it. #3: Whom Should I Vote For? Only when individual people think for themselves and vote fresh every time, not committed to any party, only then democracy will stay alive. Today, people are voting on the basis of religion, caste, creed and all kinds of rubbish. This is what needs to change. Only when individual people think for themselves and vote fresh every time, not committed to any party, only then democracy will stay alive. If someone gives a call and a million people vote according to that, then you have turned a democracy into a feudalistic process. What is precious about a democracy is that power can shift without bloodletting. Never in the history of humanity has that happened. Even if power has to change in a family, somebody will bleed. But for the first time in the last 100-150 years, we have changed leadership without bloodletting. Do not underestimate that. #4: What is the Ideal Education System? 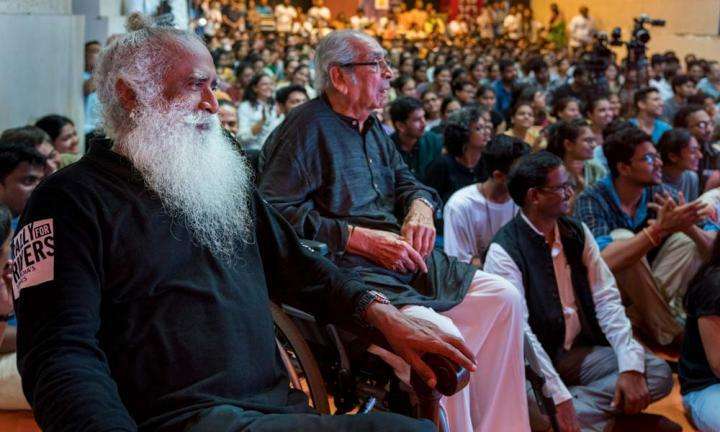 Sadhguru: We definitely need to revisit the way education is happening in the country. Right now, we are trying to put everyone through the same process of education, but not everyone is equipped to go through the same process. If someone is interested in academics, they should go one way. If someone just wants to earn a living, they must go another way. If someone else has some other kind of skills, they must go another way. What is needed is that early on, by the age of twelve, everyone should be reasonably literate in two languages. You can read English language and you can read your mother tongue. We need not cram children with too many other things. Just language and perception. What I read I understand – that’s enough. After that, maybe at the age of twelve, you can do an evaluation as to who should go for skill-based training, who should go for a higher level of expertise in the same skills, and who should go for academic pursuits. #5: As a Lawyer Should I Defend Someone Who is Guilty? Sadhguru: Your profession is a constitutional obligation. You have no business to see what is right and wrong. Your business is just to interpret the constitution for the wellbeing of the citizen who comes to you. Maybe he has committed a crime, but sometimes the crimes are so heinous that the human question will come up, “Should I save this guy at all?” Don’t make this into a moral dilemma. “Okay, this guy has done something that I don’t like, so let him hang.” This is not for you to decide. Your business is just to interpret the law, so that everyone gets fair treatment. #6: How to Make the Right Choices in Life? 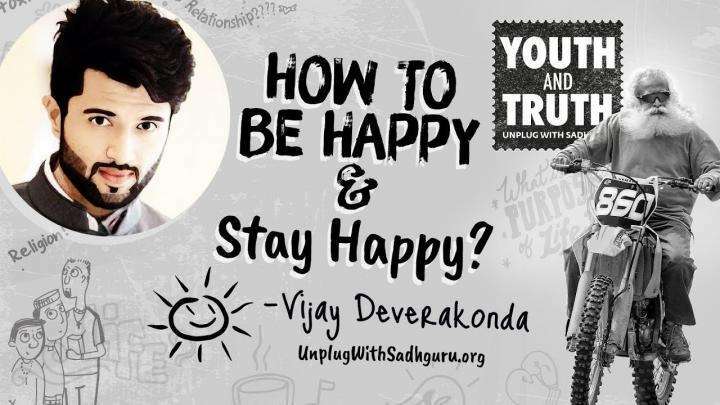 Sadhguru: You must not be driven by your anxieties, frustrations or concerns. When this question becomes a serious question in your life, you must take at least three to ten days off. Some people may need three days, someone may need more time. Spend somewhere between three to ten days, where you are not influenced by your peers, professors, parents or social pressures. Switch off your phone. Spend some time with yourself and see. Let me ask you a simple question. Is your life precious to you? If it is, then what you are going to invest this precious life into is something that must concern you, isn’t it? You must not do something because someone else is doing it. If this life is precious, you must see what really matters to you, and do that. Editor’s Note: Want more of the profound, interesting and fun conversations between Sadhguru and the youth of India? Check out the Youth and Truth comprehensive playlist.